Still looking for the perfect holiday gift? 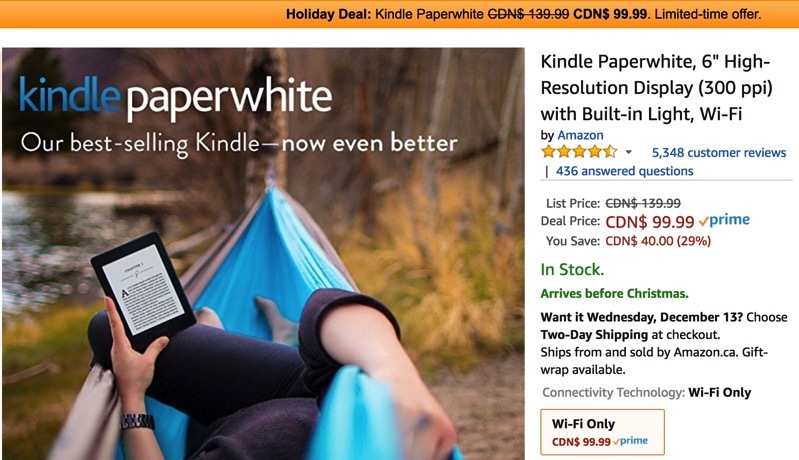 Amazon.ca has just slashed the price of their Kindle Paperwhite Wi-Fi by 29%, saving you $40, as it’s now available for $99.99, the lowest price ever according to price tracker CamelCamelCamel. The 6-inch touchscreen display (300ppi) has 4 front-lit LEDs, allowing you to read in any environment without causing tired eyes versus a backlit LCD or OLED display. 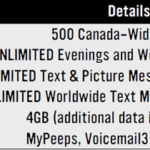 It has “weeks” of battery life comes with 4GB of storage, weighing in at just 205 grams. The last time we saw the Kindle Paperwhite slashed by 29% was earlier this year, but it was only for Prime members. So if you’ve been eyeing this, now is the time go jump on it. Click here to buy the Kindle Paperwhite for $99.99 while it’s still on sale. The bookworm in your life will love it.